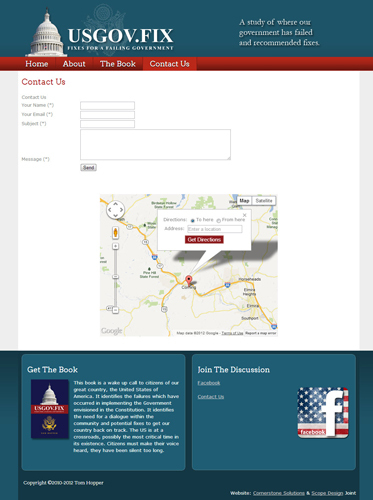 Website for US Gov Fix. This book is a wake up call to citizens of our great country, the United States of America. It identifies the failures which have occurred in implementing the Government envisioned in the Constitution. It identifies the need for a dialogue within the community and potential fixes to get our country back on track. The US is at a crossroads, possibly the most critical time in its existence. Citizens must make their voice heard, they have been silent too long.. 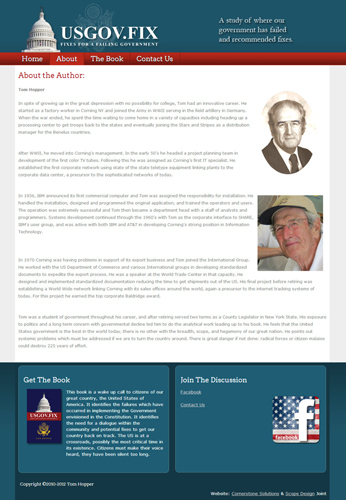 Please stop by this site, buy the book, make a difference! 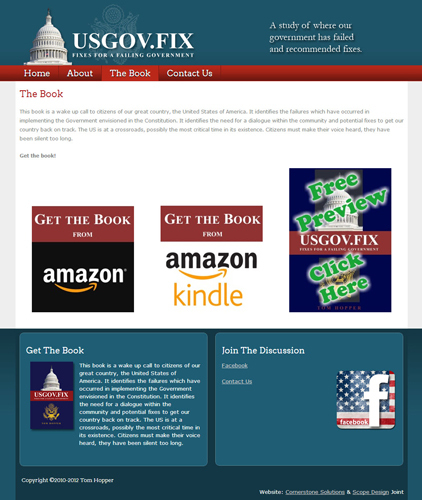 usgovfix.com.